You can peek at the state’s near future in the latest numbers from the Texas Education Agency: 51.8 percent Hispanic, 29.4 percent Anglo, 12.7 percent African-American, 3.7 percent Asian. Texas has more kids in public school than 28 states have residents. The student population here — 5.1 million — is in the same ballpark as the total population of Colorado. And you can see the state’s near future in the latest numbers from the Texas Education Agency: 51.8 percent Hispanic, 29.4 percent Anglo, 12.7 percent African-American, 3.7 percent Asian. That syncs up with recent numbers from the Office of the State Demographer, which says Hispanics will outnumber Anglos by 2020 — that’s five years from now — and will account for more than half of the state’s population by 2042. That’s already happening in Texas classrooms, according to the TEA’s Snapshot 2014 — an annual statistical report on the public schools. The numbers are everyday stuff to educators and administrators, but are mind-boggling to the rest of us. Size differences jump out of the numbers. The number of small and tiny districts — many of them smaller than the graduating classes at individual suburban and urban high schools — tells you why policymakers periodically bring up the idea of consolidating districts to increase efficiencies, cut administrative staff and costs, and increase class offerings. They nearly always run into the politics of public education: Each district represents some local interest — sometimes the strongest unifying institution in a community — and voters so far have turned back every attempt at mergers. • Counting charter schools, the state has 1,227 school districts. The numbers include 202 charter schools. • 29 percent of the state’s students are enrolled in 18 of those school districts. • 111,438 of the state’s public school students are being educated in one of the 429 school districts with 500 or fewer students. That’s 2.2 percent of all students in 35 percent of all districts. • 676 districts each have fewer than 1,000 students. • 821 districts each have fewer than 1,600 students. • 959 districts each have fewer than 3,000 students. That’s 78.2 percent of the districts in Texas. • 51 percent of the state’s 5.1 million public school students are educated in 4 percent of its school districts. Put that another way: There are 49 superintendents for 2.6 million students and 1,178 for the other 2.5 million. 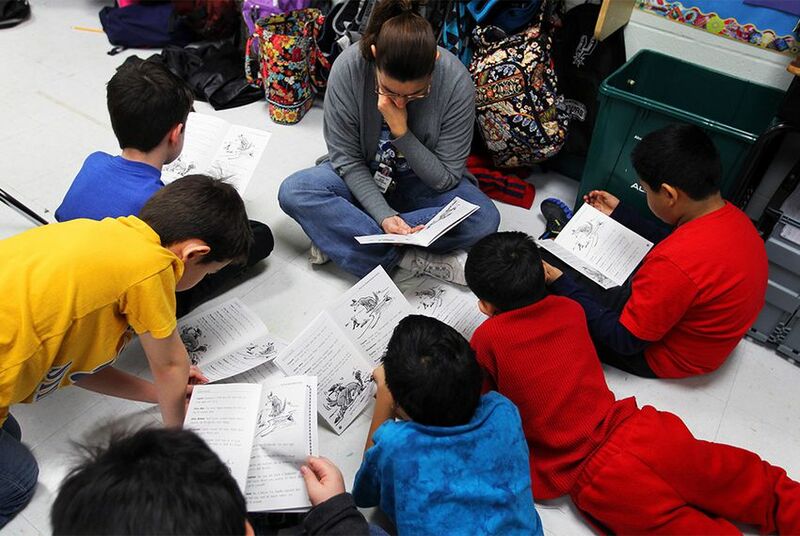 • Overall, 60.2 percent of the students in Texas public schools are classified as economically disadvantaged; 17.5 percent are English language learners. • The largest school district in the state, Houston ISD, has 210,716 students. The next three are Dallas ISD, with 159,487; Cypress-Fairbanks ISD in Harris County, with 111,173; and Northside ISD in Bexar County, with 101,549. Another 14 school districts each have 50,000 to 100,000 students. Race and ethnicity vary widely among the districts, as they do throughout the state. • Hispanics have large majorities in Houston (62 percent), Dallas (69.8 percent) and some other big districts. Eleven of the top 20 districts have Hispanic majorities. • Only one of the state’s 20 largest districts, Conroe ISD, has an Anglo majority (52.7 percent). Anglo students are in small minorities elsewhere: In San Antonio ISD (1.8 percent), Aldine ISD (2 percent), Dallas (4.7 percent) and Houston (8.2 percent). • African-American students account for more than 20 percent of the population in six of the top 20 districts, accounting for 25.2 percent of Houston’s students and 23.4 percent of Dallas’. • The balance in Fort Bend ISD stands out: 29.2 percent African-American, 26.4 percent Hispanic, 22.9 percent Asian, 18.6 percent Anglo. In Plano ISD, it’s 40.2 percent Anglo, 23 percent Hispanic, 21.5 percent Asian and 11.4 percent African American. The state’s districts have the equivalent of 656,541 full-time employees (a way of counting part-timers and full-timers to get a total workforce size). Of those, 51 percent are teachers, 9.4 percent are educational aides, 13.2 percent are administrative employees and 26.3 percent are auxiliary staff. • The average teacher salary is $49,692. The average administrative salary at the school level is $72,764, and the average administrative salary at the central offices of districts is $94,630. • The average teacher has 11.2 years of experience, and 23.8 percent of them have advanced degrees. About one teacher in six quits every year, an average turnover rate of 16.2 percent. A third of teachers — 33.6 percent — have five or fewer years of experience. • On average, the number of students per teacher in public schools is 15.4. • On average, Texas schools spend $8,327 per year per student, including $4,759 on instructional expenditures. It’s big and complicated and fascinating: A glimpse, in many ways, of what Texas is becoming.